1 – Pan fry or BBQ sausages until cooked. water, cover and set aside for 5 minutes. 3 – Cut sausages diagonally into 1cm slices. 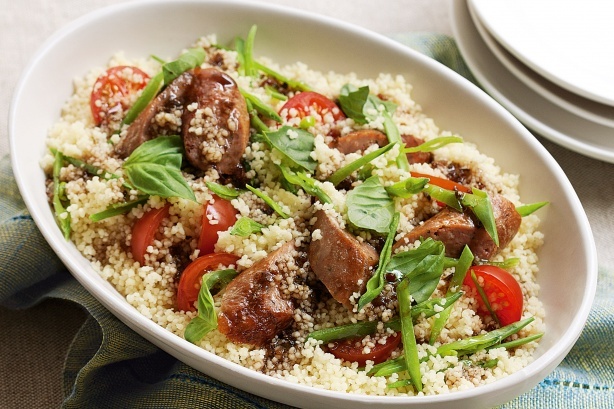 4 – Fluff couscous with a fork to separate grains. 5 – Prepare snow peas, tomatoes and basil. 6 – Combine all ingredients, toss, drizzle with dressing and serve.